Our mobility is naturally supposed to be limited to protect joint and tissue stability. However, certain hereditary or injury-caused conditions can be a cause of concern for “loose ligaments.” Ligament Laxity is a term that refers to the “lax” or looseness of ligaments surrounding your joints. It may seem like an advantage to have extensive flexibility, but immense damage is caused to your ligaments and joint stability with susceptible tearing and chronic body pain. 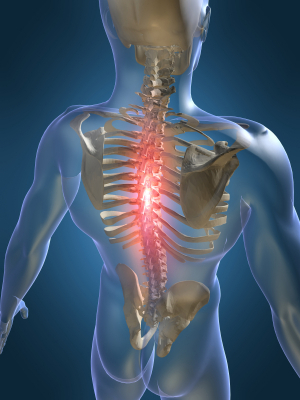 Such symptoms lead to extreme joint damage including bone dislocation, chronic back or body pain. In more extreme cases, where the severity level is high, ligament tissues can be thinned and become nonexistent between bones causing grinding pain and stiffness in the affected limb. The most successful remedies for Ligament Laxity incorporate controlled strength programs and direct pain release therapy.Dr. Lambert’s practice focuses on wellness programs used to educate and support lasting patient results. Unlike traditional medicine concepts, our team promotes strength programs with chiropractic care and corrective exercise routines that deliver optimal comfort for a beneficial lifestyle.